Christmas is coming soon. Books have always been popular holiday gifts. 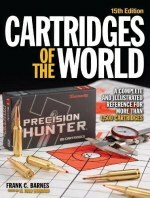 If you haven’t completed your holiday shopping, here are some recommended titles that should please the serious shooters and firearms enthusiasts on your shopping list. 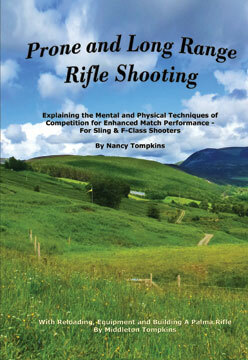 For shooting clubs, books also make great end-of-season member awards. Most of us would rather have a useful book than one more piece of wood to toss in a box in the closet. 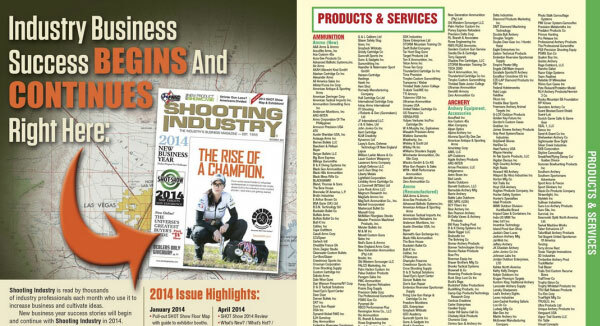 Check out these twelve titles — for yourself or your shooting buddies. 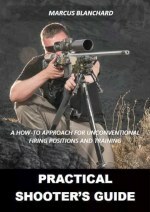 If you’re a serious long-range shooter, consider adding this book to your library. 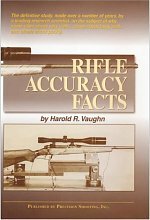 Relying on extensive ballistics testing, Modern Advancements Volume II is a great successor to Volume I that contains some fascinating research results. 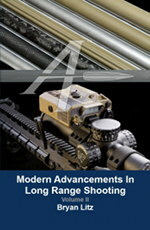 UK gun writer Laurie Holland notes: “Volume II of the Modern Advancements series is as fascinating as Volume I and if anything even more valuable given a series of ‘mythbusters’ tests including: case fill-ratio, primer flash-hole uniforming, neck tension, annealing, and much more. 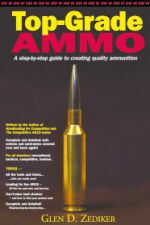 The work also addresses that perennial discussion of a bullet ‘going to sleep’ and shooting smaller groups (in MOA) at longer distances than 100 yards.” The amount of testing done for this Volume II work, with a staggering amount of rounds sent downrange, makes this book unique among shooting resources. There is a ton of “hard science” in this book — not just opinions. by Linda Miller & Keith Cunningham, $14.99 (Kindle), $21.99 (Hardback). 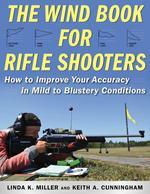 Many of our Forum members have recommended The Wind Book for Rifle Shooters by Linda Miller and Keith Cunningham. This 146-page book, first published in 2007, is a very informative resource. But you don’t have to take our word for it. If you click this link, you can read book excerpts on Amazon.com. This lets you preview the first few chapters, and see some illustrations. 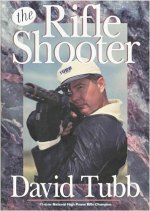 Other books cover wind reading in a broader discussion of ballistics or long-range shooting. But the Miller & Cunningham book is ALL about wind reading from cover to cover, and that is its strength. The book focuses on real world skills that can help you accurately gauge wind angle, wind velocity, and wind cycles. NOTE: The new Hardback Edition will release in February 2019, but you can pre-order now. 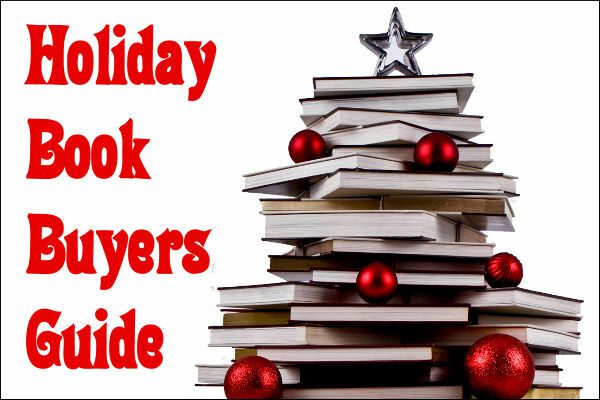 Share the post "Holiday Book Gift Guide — A Dozen GREAT GUN BOOKS"
Want a preview of the hot new products of 2017? 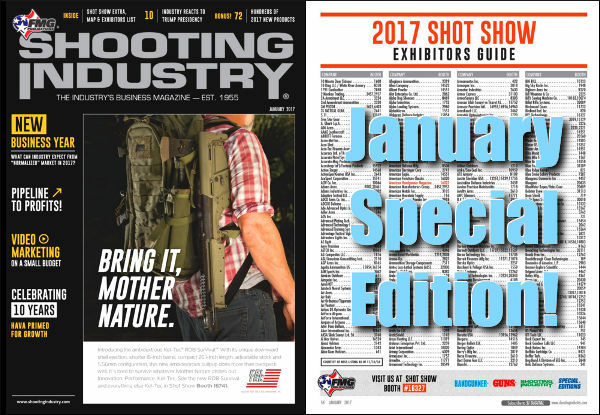 Then check out the just-released December 2016 Digital Edition of Shooting Industry Magazine. 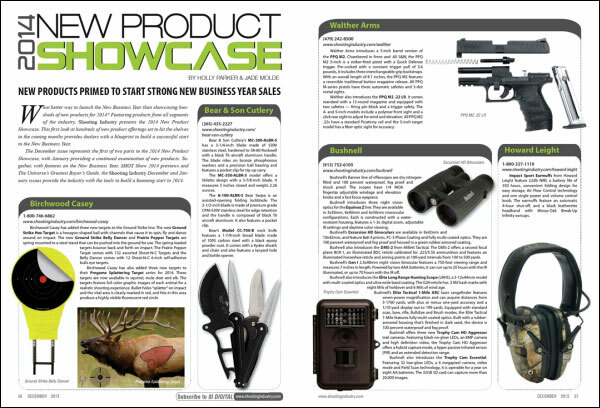 This free, digital eZine contains a 25-page Product Showcase with dozens of new products — rifles, pistols, optics, reloading tools, hunting gear and more. 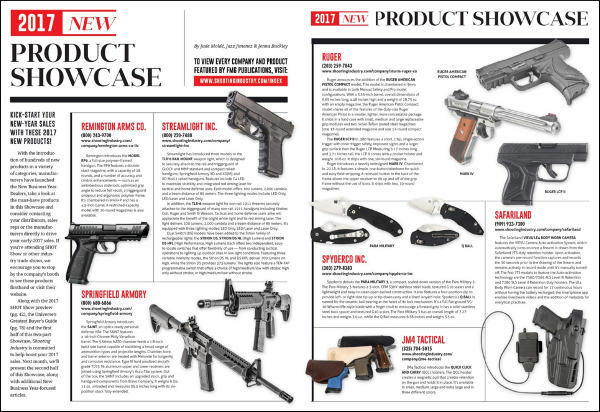 The product showcase article reveals many new-for-2017 firearms, including new guns from Ruger, Springfield Armory, and Walther. 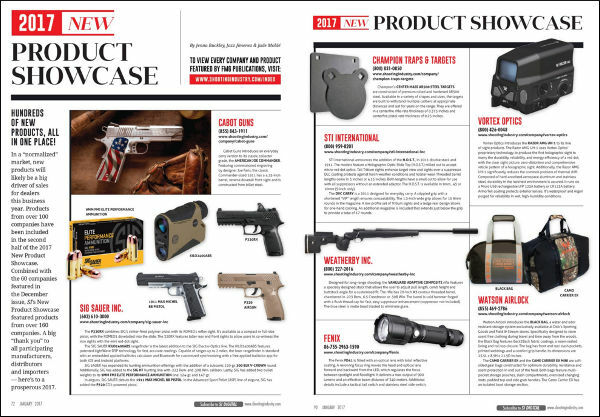 Along with the product guide, the December issue includes a 4-page preview of SHOT Show 2017, coming up in January. The December Edition of Shooting Industry Magazine also contains a very comprehensive Shooting Industry Buyer’s Guide, starting on page 80. This 80-page resource lists 2500+ companies, complete with address, phone number(s), email, and website link. 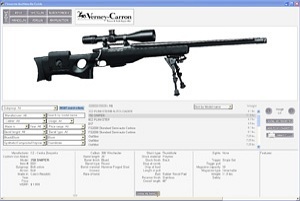 All the major precision shooting suppliers, such as Berger Bullets, Lapua, Hodgdon, McMillan, Nightforce, Redding, Sierra etc. are listed. In addition, you’ll find an easy-to-search, stream-lined version of the Buyers Guide at http://sibuyersguide.com/. 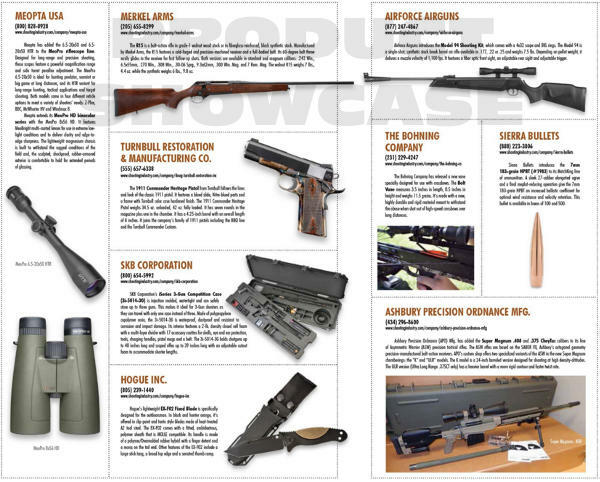 Share the post "Preview 2017 Products in Shooting Industry Magazine"
Covering over 59,000 firearms, the Firearms Guide is the most comprehensive resource on guns ever created. And now it’s bigger and better than ever. 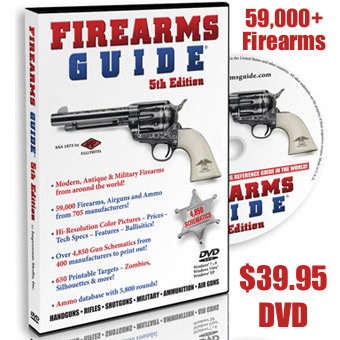 The updated 5th Edition of the Firearms Guide is now available on dual-layer DVD for $39.95 from Impressum Media. This latest DVD now include Military Guns and Antique Guns as well. The Windows Version is available right now. 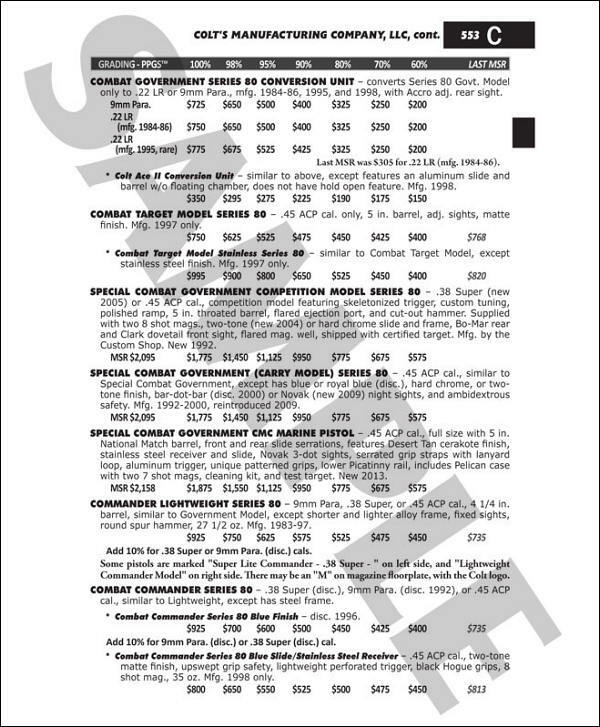 Think of this as a digital encyclopedia of guns — the mother of all gun reference guides. The sheer amount of information is mind-boggling. 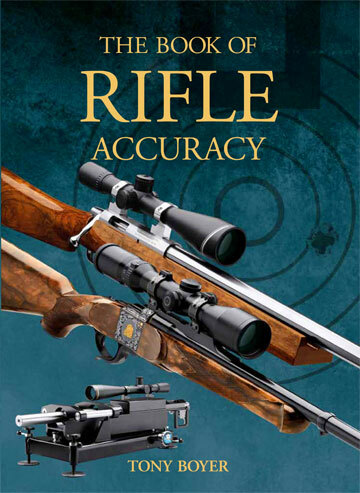 The Firearms Guide covers nearly 60,000 models of rifles, pistols, shotguns, air rifles, and air pistols from 705 manufacturers worldwide. 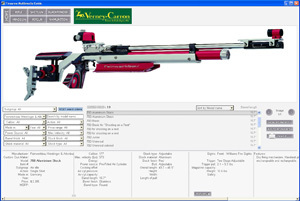 Products are illustrated with 39,000 high-res color photos, plus 4,850+ schematics with parts lists for 360 gun-makers. 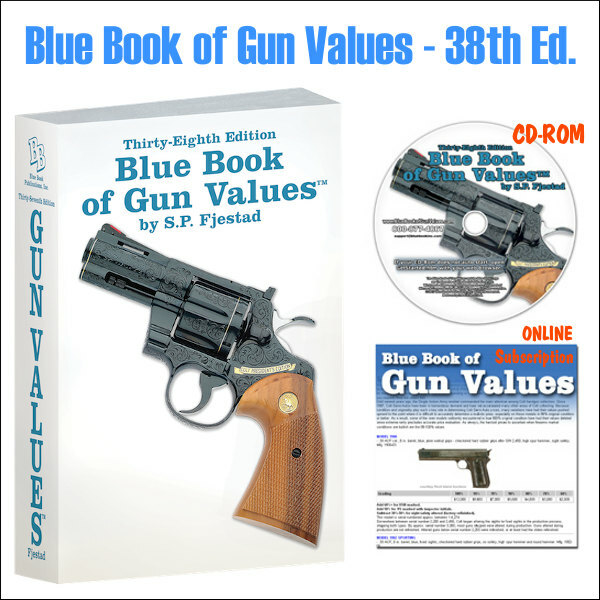 If you’re a gunsmith or armorer, you’ll want to buy this DVD, just to have the searchable schematics with part numbers handy. Here are some of the useful bonus features included on the the $39.95 DVD. Gunblast.com says the DVD is “worth the price for the target images alone”. 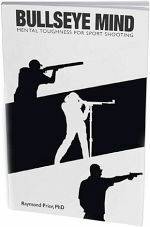 650 Printable Targets: game animals, silhouettes, crosshairs, sight-ins, fun targets. FFL Locator – Searchable database of over 62,000 gun dealers in the USA with contact info. 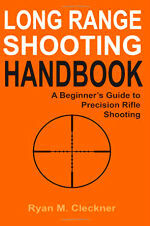 Share the post "Firearms Guide 5th Ed. 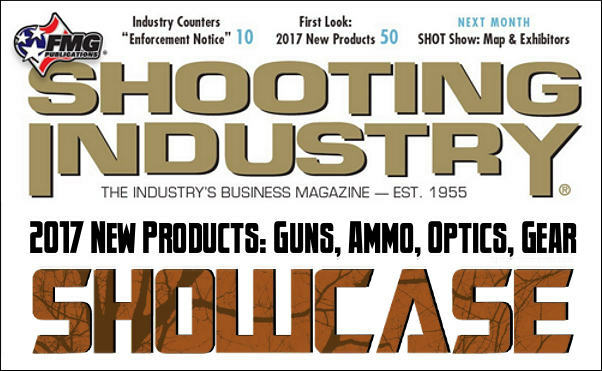 Has Over 59,000 gun types, 39,000 Photos"
If you want to know “Who’s Who” and “What’s What” in the gun industry, you should check out the big December 2013 edition of Shooting Industry Magazine, available FREE online (in eMagazine format). 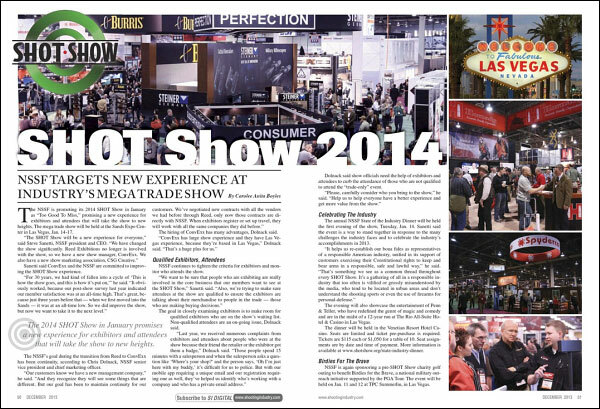 The free December issue contains a huge, 75-page directory of industry manufacturers and distributors. This directory provides address and contact information for hundreds of companies — it is truly the “Yellow Pages” of the shooting industry, with virtually ever firearm-maker and accesory-maker, large and small. Along with company listings, there is also an index of products and services. This is very handy, as you can simply choose a product type (such as “Holsters” or “Gun Scopes”) and instantly find dozens of product makers. An interactive version of this comprehensive resource (with company directory and product/service index) is also available online at SIBuyersGuide.com. 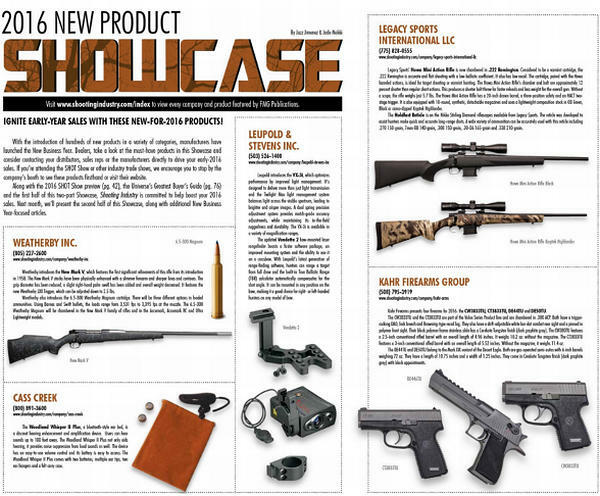 This issue of Shooting Industry also presents Part I of the 2014 New Product Showcase with dozens of new products. These include handguns, long guns, ammunition, optics, accessories and more. 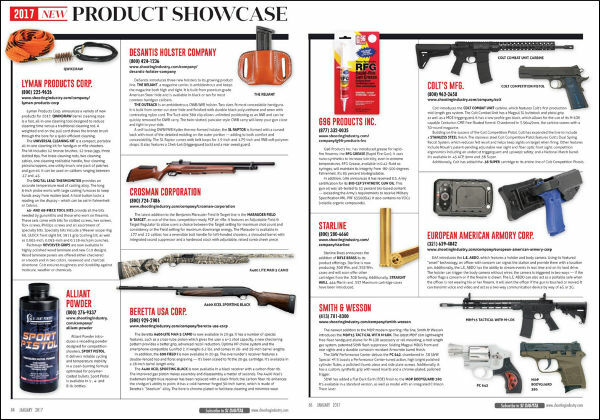 Also in the December issue is an in-depth preview of the 2014 SHOT Show, detailing the week’s events at this mega trade show in Las Vegas. 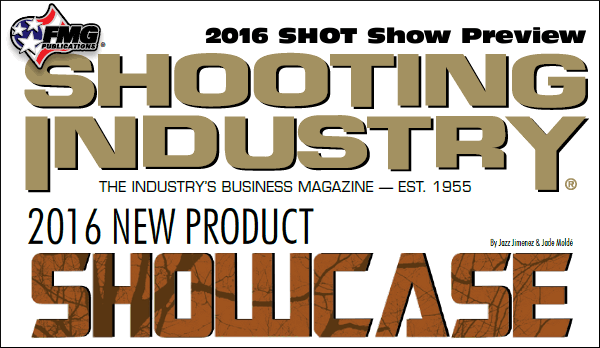 Share the post "Free Shooting Industry Magazine Showcases New Products"